We all know very well that the tech giant Microsoft’s well-known Microsoft Office suit simply offers lots of options and features, and among all those features it also provides us the Visio platform with the aim of creating and representing diagrams in a professional and dynamic way with great editing tools. 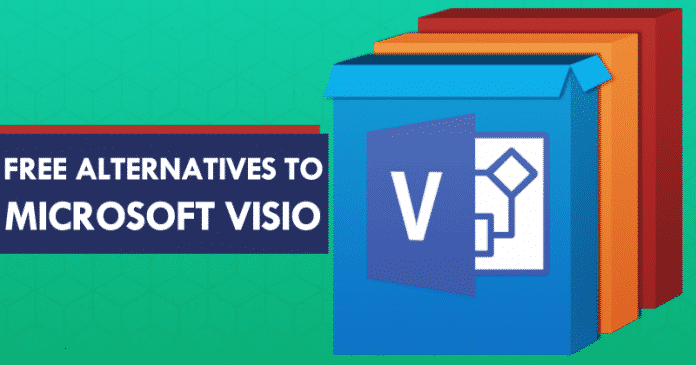 Hence, today in this article we will show you a list in which we will show you the top 10 free alternatives to Microsoft Visio. The tech giant Microsoft’s well-known Microsoft Office suit simply offers lots of options and features, and among all those features it also provides us the Visio platform with the aim of creating and representing diagrams in a professional and dynamic way with great editing tools. With the tech giant Microsoft’s Visio platform we also get the possibility to create from simple diagrams to complex plans and for this, we should simply thank its vector diagrams and advanced functionalities. Now, being such an advanced tool it simply offers the paid plans, yes, it is not available for free of course. However, the point is that not all of us will use Visio on a daily basis, so spending any amount of money will be a non-productive expense. Hence, today here in this article we will show you all the best alternatives to the tech giant Microsoft’s Visio that we can use for free to carry out all the tasks of diagramming. So, now without wasting much time let’s get started and explore the list. Undoubtedly Libre Office Draw is a very popular platform and currently used by many users simply to create their diagrams not only because it is free but also because of its multiple functions and support. As this well-known platform simply allows us to create diagrams with a maximum page size of 300cm by 300cm which is important for large projects. Moreover, with this well-known platform, we can simply create projects of technical drawings, brochures, posters, and many other documents, even it also allows us to carry out editing tasks such as manipulating graphics objects, grouping them, trimming them, using 3D objects and much more. Hence, in one word we can say that this is one of the most complete packages in this list. It is completely available for free. It simply offers us a simple environment with simple UI. Even it also allows us to edit tasks like manipulating graphics objects, grouping them, trimming them and much more. It does not require any installation. It is compatible with all the current browsers like Google Chrome, Mozilla Firefox, Safari, etc. It supports the drag and drop function. It is simple in scalability. It also allows you to embed diagrams in Wikis, corporate documents, websites or blogs. It also has a history review function to see the various changes made in a project. In this platform, the transferred data is encrypted with AES-256. It also has secure servers protected which were by Amazon Web. It comes with the integration of Google Drive, Visio, Jira, Confluence, Jive and many more. Draw.io is a totally free platform that we can use online, in which we can create multiple types of diagrams and models in a practical and modern way. One of the most outstanding features of this well-known platform is the ability to create projects for mobile operating systems such as Android and iOS. It has a simple and dynamic user interface. It is compatible with all the modern web browsers. It allows you to create unlimited diagrams. It also has integration with popular cloud services like Google Drive, Github, OneDrive or Dropbox. 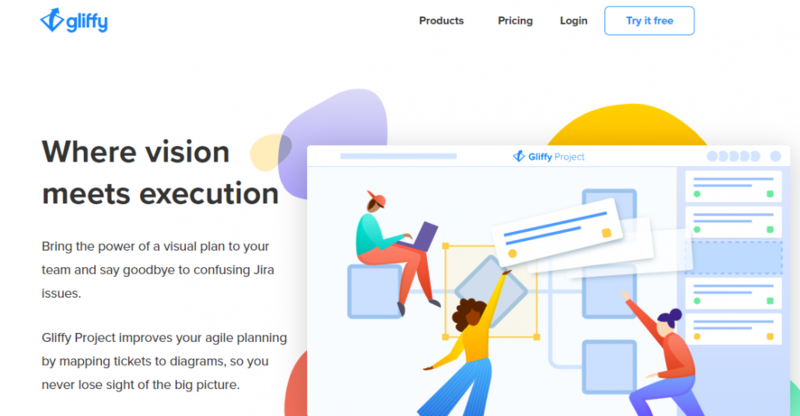 Gliffy is a tool based on HTML5 through which it will not be necessary to download any software since everything will be done through the web browser. As Gliffy can be used in browsers like the Google Chrome, Microsoft Edge, Mozilla Firefox, Apple Safari, and others. It also allows integration with platforms like Confluence, JIRA, and Google Drive simply to share a file and work together. It allows you to share the project URL so that others can also have access to it. 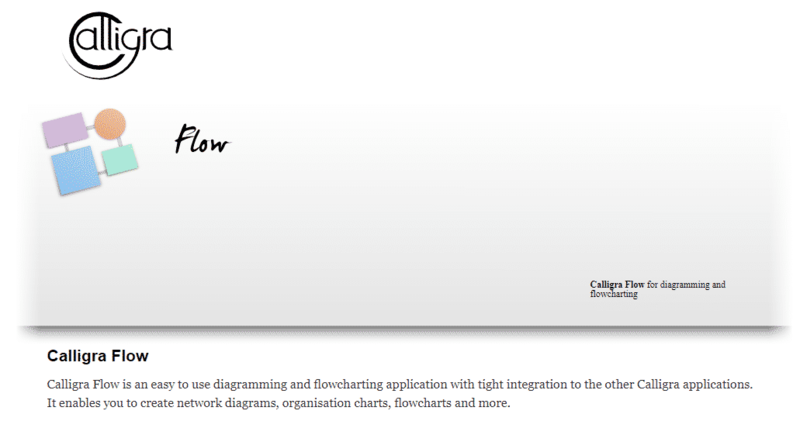 Calligra Flow is part of the Calligra suite through which simply allow us to create simple diagrams to complex diagrams. While now if we talk about its UI then let me clarify that its environment is similar to the tech giant Microsoft’s Visio and can be fully integrated with it. Moreover, Calligra Flow is totally available for free and can be downloaded for Windows, Linux or macOS. It simply offers a similar environment like Visio. 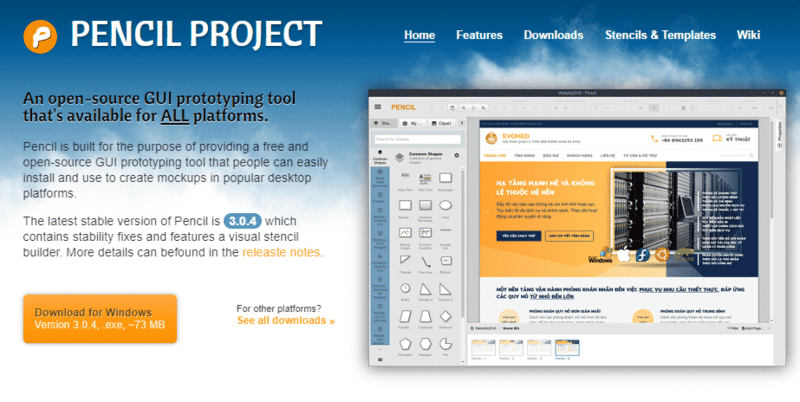 Pencil Project is an open source application which is available for all operating systems through which we can carry out GUI prototypes with modern and simple tools. The current version of the Pencil Project is 3.0.4 which contains stable fixes and new features of visual template builder and can be downloaded from the above link. It is compatible with all operating systems. It has a simple graphical user interface. It also integrates multiple flowchart element templates, desktop/web user interface forms, GUI forms for Android and iOS. It also supports the connectors in the diagrams. It allows us to export the diagrams to formats like PDF, SVG, OpenOffice or PNG. It also has the integration of OpenClipart.org for the addition of multiple images. Google Drawings, as its name, defines that what actually it is. 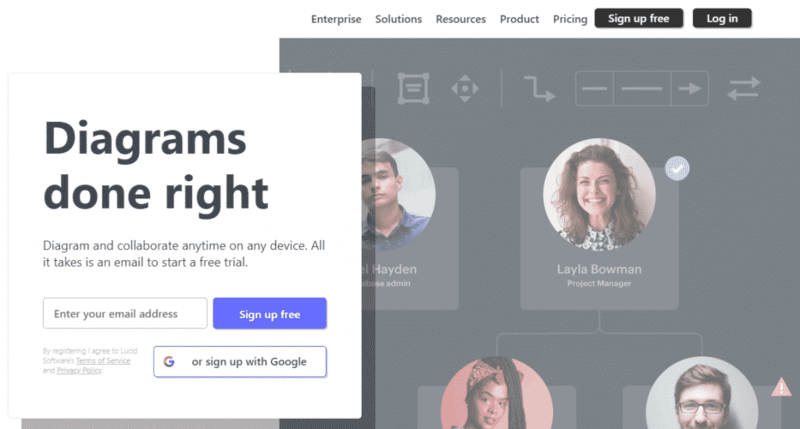 Basically, it is the free service that the tech giant Google offers us to create multiple diagrams in a simple way which also synchronized in real time with Google Drive. Moreover, the Google Drawings is by default comes integrated with Google Drive and even we can install an add-on in Google Chrome simply to work on the diagrams offline. As by using this utility we can simply export our diagrams in PDF, PNG, JPEG or SVG format. It allows collaboration in real time. Creately is a simple alternative but it offers us the possibility of designing projects among more than 50 types of diagrams available. Creately is basically based on WYSIWYG and can be used on the well-known operating systems like Windows, Mac OS, and Linux. It is compatible with all modern web browsers. It gives the options to run on both desktop and mobile. It also allows you to import projects directly from Visio. In this platform, we can export projects to XML or SVG formats. It also allows external image search. Allows you to add notes and comments to the diagrams. Allows embedding diagrams to websites or blogs. It has the function like object search. It has more than 50 types of diagrams available. It also gives you access to more than 100 templates. It also allows you working online or offline. Integration with Google Drive, Chrome, Jira, Visio, and much more well-known platforms. With yEd we can simply get access to great tools for the creation and analysis of diagrams which offers us simplicity and speed when creating hundreds of different diagrams. Moreover, yEd is completely available for free and now only that even it also allows us to create a new project from scratch or export large external data as it has automatic design algorithms which simply organize the data with the push of a button. It can be run on Windows, Unix/Linux, and Mac OS operating systems. It allows to export vector graphics to popular formats like PNG, JPG, SVG, PDF, SWF. It allows to automatically fix the elements of each diagram. Simple user interface for the preparation of projects. We can import data from Excel or XML. 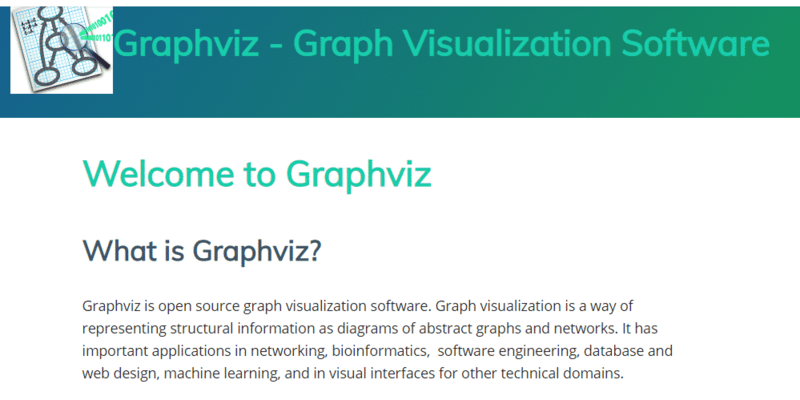 Graphviz is an open source tool that we can use in Linux, Windows or macOS through which we can simply design various types of diagrams for network applications, bioinformatics, software engineering, database and web design, machine learning, and interfaces. And not only that even this platform also features completely modern visuals and environment as well. It is compatible with multiple operating systems. It has SFDP technology for handling large graphics. It has the Twopi function for radial diagrams. It also allows to embed the diagrams in websites, blogs or similar sites. All these are the top 10 best Microsoft Visio alternatives, and all are completely free that are available on the internet and the most interesting thing about all these platforms are that they do not take up much space on your system or even some of them do not require any installation as well. So, what are you waiting for? Go and try them out, and do not forget to share all your views and thoughts in the comment section below.